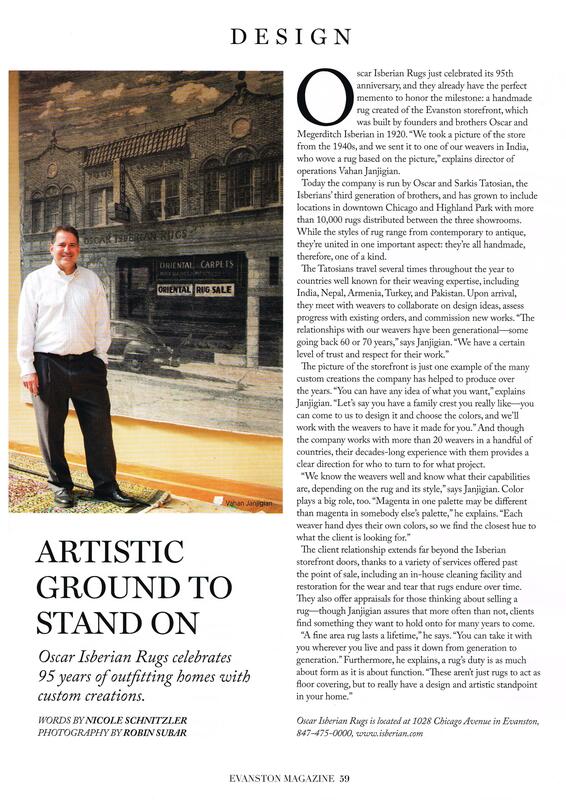 Thank you, Evanston Magazine, for the fantastic coverage of Oscar Isberian Rugs’ landmark 95th Anniversary. We’re thrilled that you detailed our unique custom rug capabilities in your interview with our director of operations, Vahan Janjigian. Thanks for punctuating the piece with that crisp image of Isberian co-owner, Sarkis Tatosian, in front of our newly commissioned, custom-made rug that depicts our 1028 Chicago Avenue store. 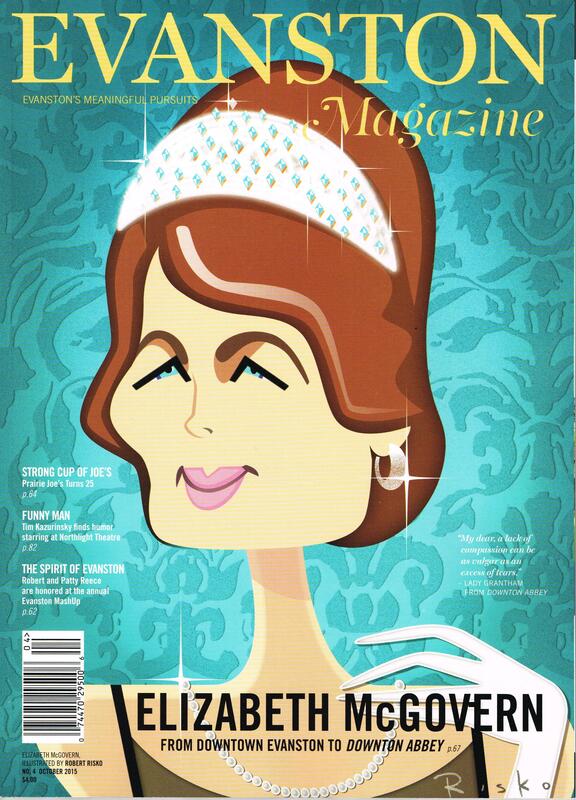 It’s spectacular!